Hutt, a local, said he had altered his usual routine slightly and was about to cast off about 100 metres (110 yards) from his normal spot on the shoreline when the object floated by. Mr Hutt, who normally fishes in a different area of the beach, said: "I reached out and grabbed him by the arm; even then I still thought it was just a doll". Mr Hutt continued: "He let out a little squeak and I thought, "Oh God this is a baby and it's alive". When the parents were located, the mother "screamed" when she found out her baby was rescued from the water. "I thought he was just a doll", Hutt told the Whakatane Beacon of the incident on October 26. "I don't think my heart worked", she said. She said that he had tried to run into the sea on the previous day but had been stopped by his parents. Hutt later traced the infant's steps into the sea to a spot about 15 meters from where he had been fishing. "He was bloody lucky but he just wasn't meant to go". Malachi's mother, Jessica Whyte, said of the camp manager: "She was like 'do you guys have a young child?' Then she said he's been found in the water". If I hadn't been there, or if I had just been a minute later I wouldn't have seen him. "It was terrible in between hearing that and seeing him", she told New Zealand outlet Stuff. I gave him a big hug'. 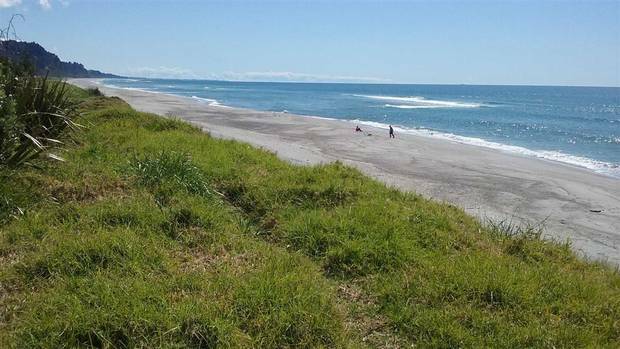 A toddler was miraculously pulled from the water alive at a beach in New Zealand after he wandered away from his parents' tent while they were sleeping. Rebecca Salter, the co-owner of Murphy's Holiday Camp, told the BBC, "It came as a shock to everyone".